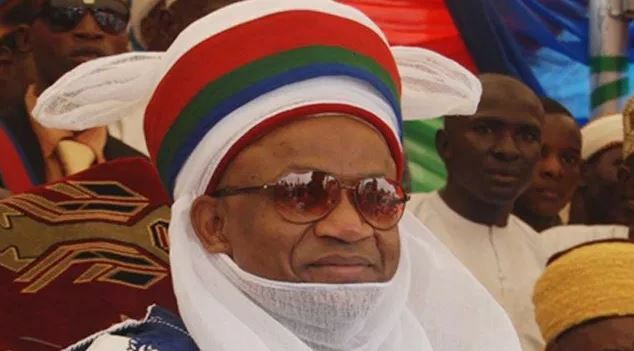 The Etsu Nupe, Alhaji Yahaya Abubakar, has urged district heads and stakeholders to mobilise their subjects to get their Permanent Voter Cards (PVCs), ahead of the 2019 general elections. Abubakar made the call in his Eid el-Kabir Sallah message to the people of Bida at the Eid praying ground on Tuesday in Bida. The Etsu Nupe, who is also Chairman, Niger State Council of Chiefs, said the PVC was the only power the electorate had to vote for candidates of their choice. “The PVC is a very potent weapon to either vote in or vote out any candidate seeking to occupy any elective office. “Without it, one would not be able to exercise the due constitutional responsibility of casting vote in the nation’s electoral process’’, he said. The monarch urged those who had not registered to take advantage of the extension to go and register before the Aug. 31 deadline. The Etsu also advised his subjects to be law abiding, respect constituted authorities and live in peace, irrespective of ethnic, religious and political affiliations. He urged the people and other Nigerians to pray and support government at all levels. Abubakar appealed to Nigerians to shun all acts capable of breaching peace and unity, adding that such acts would setback the progress of the country. “Peace is the veritable tool for national development and without it, no nation can achieve progress. “We should therefore as patriotic citizens continue to uphold the noble virtues of peace, unity and love for one another, irrespective of religion, ethnic or political affiliations’’, he said.